Drew Atlas: The Groove - 20yrs Remixed! 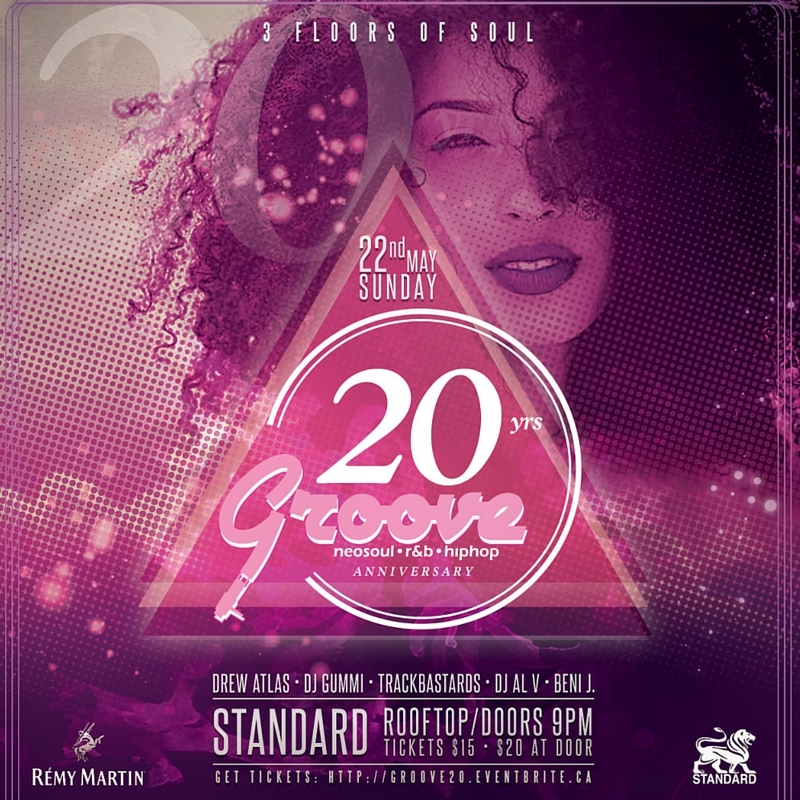 The Groove - 20yrs Remixed! 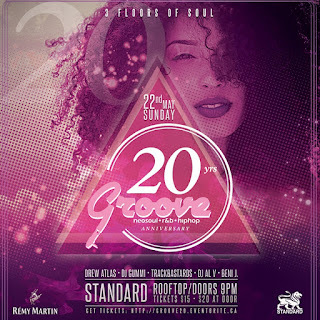 The Groove was proud to celebrate our 20th anniversary event at Standard Nightclub on Sunday. May 22nd 2016. It was another night of Neo Soul, RandB, and Hip Hop gems with DJs Drew Atlas and Gummi, hosted by Beni J. This time we brought along some other Calgary talents to join in the party. Big thanks to DJ Al V, DJ C-Sik and 'Trackbastards', Wyze One and DJ Erwin. I put together another exclusive mix for this party. The challenge was to get the best of the last 20yrs remixed into one set. Enjoy!